The presentation of the book is organized within the series of meetings "The archistories of the library: presentation of books, experiences, projects ..."
The "archistories" are born as a link and recognition to the teaching and activity of Luca De Silva and they want to represent their ideal continuation. Project coordinator: Raimondo Innocenti, Department of Architecture of the University of Florence. Speakers: Giorgio Pizziolo Department of Architecture of the University of Florence; Lidia Decandia, Department of Architecture, Design and Urban Planning University of Sassari; Roberto Budini Gattai, Department of Architecture of the University of Florence. 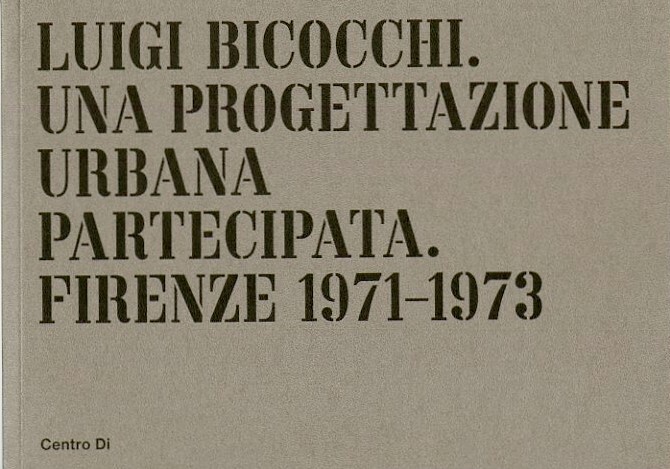 Presenters of the project “Archivio Bicocchi”: Gianna Frosali and Alessandro Merlo. The screening of the video Firenze – Case minime di Casella, Paradiso, Rovezzano (available online at https://vimeo.com/252352387) will conclude the opening event. With the participation of the protagonists of the experience, Chiara Giunti and Gianni Bonini and the directors Antonio Frazzi and Giampiero Gabelli. In the early Seventies, a unique interactive urban planning experience was realized in Florence with the citizens of the suburbs involved. The project, led by architect Luigi Bicocchi, concerned the renovation of the tenement houses in Rovezzano and Casella. It was an operation that was the result of political intuition and environmental urban social experimentation, so to speak, 'prescient': in fact it came - after a long and exciting work - to a shared project, innovative and of great quality, non overambitious and formally approved also by the Municipality of Florence (although never actually carried out). One of the paradigms that guided this path was to encourage participation through the new video technology: the audiovisual recordings, made by a group of young filmmakers, were, in fact, a useful tool to provide those ideas that would then be used during architectural design. Quite a significant change of perspective: preferring the process over the result, with an active involvement of the community and an awareness of the individual's role as a subject - and not only as an object/beneficiary - in the urban redevelopment process, going from 'users' who claim a good for themselves and for the community to responsible citizens, able to participate directly in the management of the neighbourhood.